As mentioned previously, Information and Communication Technologies will be an imperative and significant new tool for different fields of business. In particular, the utilization of ICTs to promote the brand image and propagate the news of the organization. In this article, we will focus on how a non-profit organization makes use of the new technology in this century to enhance its reputation. Since many organizations started to use Facebook, Instagram and other online platforms to keep a close relationship between the service user and the organization for a promotion of the service to the society, it is an effective method to upload all related documents onto the platforms to indicate its contribution to the society. 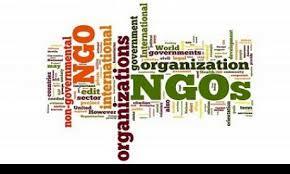 Moreover, the society is expected an Ngo to show the result (outcome and output) of its service on the platform to increase one's reputation and prestigiousness.